Members in Sheppey are supported by town centre Police Officers and Police Community Support Officers, who each have their own Swale Safe radio. 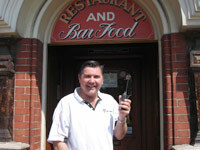 "It makes me feel safe, it's informative as I know what's going on in the town. It's good to keep in touch with other businesses. I have relayed information through to CCTV and other radio users so they are aware of incidents as they occur." "The radio is permanently on, so we can hear what's happening and who is heading in our direction. 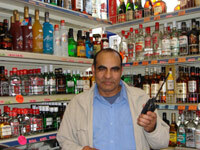 Once individuals know we have the radio, it can act as a deterrent to would be offenders. The Police have responded quickly, when we've need to use the radio to call for help." 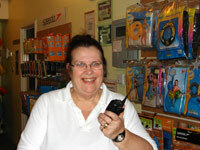 "The radio is for keeping my staff safe, it is reassuring to know that we can call for assistance if required. I am happy to work with Swale Safe and their part in Swale's Community Safety Partnership to try to help keep Sheerness town centre safe."